An upcoming lecture series at Emory University will explore what happens to deeply needy populations when the modern welfare state begins to collapse. 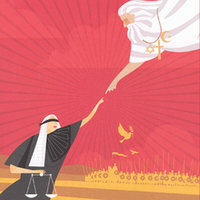 “When Law and Religion Meet 2012-2013: The Rights of the Needy” begins September 13 at Emory Law. Distinguished scholars from Emory and the University of Heidelberg will discuss basic human vulnerability, the role of church and community in protecting children, the American ethos of housing and home ownership, and the power of mercy in caring for the weak. Fineman is the founding director of Emory Law’s Feminism and Legal Theory Project and the director of its Vulnerability and the Human Condition Initiative. She is a world authority on feminist legal theory. Barbara Bennett Woodhouse, L.Q.C. Lamar Professor of Law at Emory, discusses "Blessing Vulnerability, Building Resilience: Children, Church, and Community." She explores how a shared religious tradition honoring the child plays a role in fostering laws, policies, and practices that are a response to every child's vulnerability -- and are designed to help children build resilience. Woodhouse is the faculty advisor to Emory Law’s Barton Child Law and Policy Center, which provides representation to youth in juvenile courts and ensures the safety of abused and court-involved children in Georgia. She is one of the nation’s foremost experts on children’s rights. Frank S. Alexander, Sam Nunn Professor of Law at Emory, will reexamine the basic American ethos of housing and homeownership in light of the Great Recession. He will probe the goals of homeownership, the competing stories of housing as investments and as shelter, and ask that we get the story right as we seek to provide safe, decent, and affordable housing for all Americans. Alexander is CSLR’s founding director and general counsel of the Center for Community Progress. He is one of the nation’s leading experts on the mortgage crisis, affordable housing, and homelessness. Ordained in the Protestant Church of Palatinate, Germany, Welker is a world-renowned theologian who works through the biblical traditions and through philosophical and sociological theories to address questions of contemporary culture. He is director of the University of Heidelberg’s Research Center for International and Interdisciplinary Theology, and studied with Jürgen Moltmann, one of the most celebrated theologians of modern times. This event is co-sponsored by Candler School of Theology.